Bentonite clay has many beneficial uses for overall better health and one such way for people to benefit is in controlling their acne. Acne is a problem for many people, no matter their age, and is one that can lead people to believe that they are ugly and unattractive. This can lead to problems with all social aspects of their lives. There are many causes of acne, so trying to cut out the problem can be difficult, if not impossible. The glands may simply be producing too much oil in them, thus causing the pores to become filled with bacteria and sebum. The bacteria multiple as it feeds on the oil trapped in the pores. When this occurs, inflammation in the affected area causes unsightly and unhealthy outbreaks of acne. The body is simply trying to fight off the bacterial toxins. Oftentimes, scarring of the skin is the result. Additionally, many acne medications have awful side effects. So how can the use of bentonite clay help? When dealing with acne, the person will find that the use of calcium bentonite clay masks is a powerful and all natural method of acne control. Most skin care experts will agree and it is used in the world's best spas and esthetic practices with positive benefit to the client. Bentonite clay is known for having great advantages for the body, whether taken internally or applied externally. In any event, the person will find that this clay can generate amazing results that they never thought they could have. The bentonite clay also exfoliates the skin, freeing up trapped dead skin cells which have accumulated in the pores of the skin, thus you will find that your skin has a more even skin tone and looks much healthier as a result of the mask. Using bentonite clay as a clay mask is one of the best ways to deal with the acne that you have now. With this method, the person will find that using a mask a two or three times a week and leaving this on for 10 minutes or so at a time can render amazing results. You will find that the electrically charged molecules in the clay will attract bacteria which has accumulated on the skin and pull it from the clogged pores. Once the person rinses the mask off, they will encounter skin which is softer, less oily and shiny and overall, there will be a healthier feel to it. 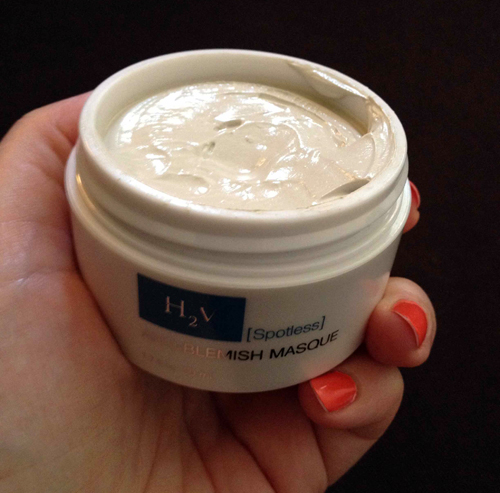 After using the mask, you should replenish the moisture levels of your skin with a good, but light moisturizer. This will help prevent your skin from trying to create more oil to replenish what has been taken away with the use of the mask. The key to successfully treating acne is to maintain a greater moisture level in the skin, but not more oil. The clay has an added benefit of making wrinkles disappear or diminish greatly as a result of its exfoliating and tightening properties. You should not be alarmed if you start to develop more acne after using the clay the first few times. This is indicating that the clay mask is doing its job by drawing out the bacteria. The skin is continuing to try to fight off the infection. However, this should subside after a few more applications. In addition, depending on your skin type, your face may be more rosy than usual. This is, once again, something to expect since the clay is healing the face through improving the blood flow, which causes the face to flush. The flushing should last less than one hour. Overall, you will find that this is well worth it, since in a few short weeks your acne will be under control through the use of bentonite clay masks. More information on the many uses of calcium bentonite clay can be found at Calcium Bentonite Clay and Calcium Bentonite Clay Benefits.